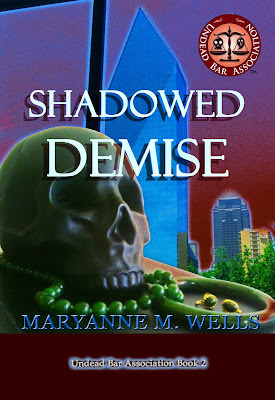 Shadowed Demise, the second book in the Undead Bar Association series, publishes November 26, 2012. 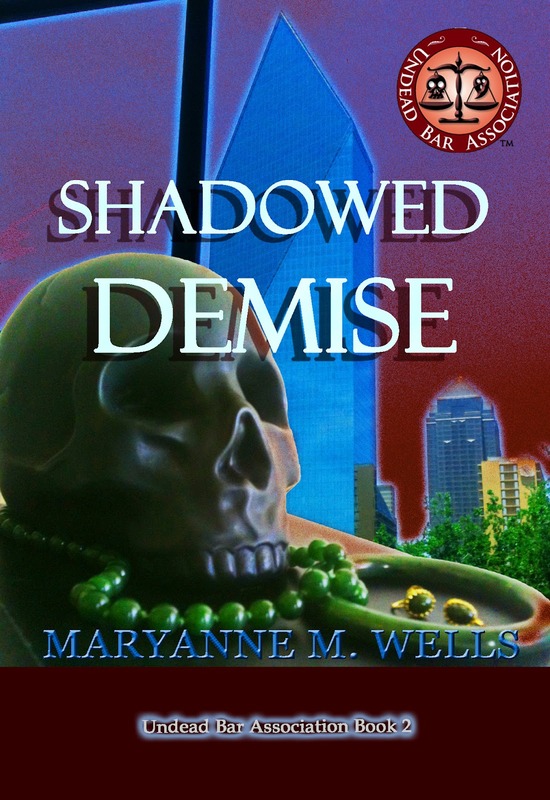 Enslaved to a house of vampires, law student Maryanne Wells expects her Dallas clerkship to be the summer from hell. Even her educated dread can't prepare her for what she finds: a saxophone-playing Guardian with the power to stop time, a court investigator trained in knives and riddles, a dead enemy begging to be an ally, and a string of murders stretching back fifty years. And the vampires? They've changed tactics. They aren't after blood; they're after Maryanne's mind. From the assassination of President John F. Kennedy to a modern PETA protest, from soaring courtrooms to back alleys and strip clubs, Shadowed Demiseis a fast-paced adventure about the long reach of shadowed pasts and the unending fight for justice. For more information about the author, Maryanne Wells, see here.